Ortal’s modern and contemporary direct vent gas fireplaces create a unique ambience in any space. They’re the perfect focal point, generating a warm, cozy atmosphere, while adding a striking architectural element to any space. Featuring one of the largest selections of sleek and contemporary, modern fireplaces along with more traditional styles, you’ll be able to customize your Ortal gas fireplace to meet your specific size and design requirements. Moreover, our innovative product design allows you to install an Ortal fireplace in a variety of locations within your home or business. 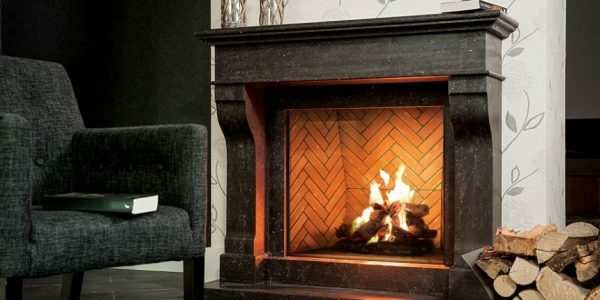 ORTAL is well known for its wide selection of modern gas fireplaces, produced with close attention to detail, finishing, heating efficiency and quality. ORTAL’s products combine traditional and modern design with the technology innovation that ensures a green product with high efficiency ratings. Advanced technology produces eye catching fires that are safe, beautiful and economical. Ortal product sophistication allows installation in more locations inside the home. ORTAL offers the largest selection of modern gas fireplaces in North America available in an array of sizes to suit design and architectural needs integrating heat into the aesthetics of life. Ortal high quality fireplaces are CSA and CE certified. Green Statement: ORTAL offers a green, environmentally friendly heating solution for the modern era. With ORTAL’s high efficiency ratings and contemporary designs, you don’t have to sacrifice form for function. The unique design maximizes the fireplace’s radiant heat. Additional efficient components include ORTAL’s use of direct vent technology, electronic ignition (instead of a standing pilot) and low maintenance requirements. Beautifully integrated into walls and architectural elements, Ortal’s front-facing fireplaces make this traditional positioning extraordinary.